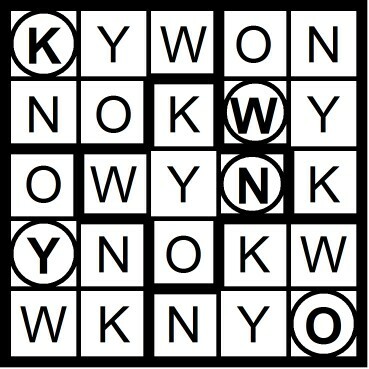 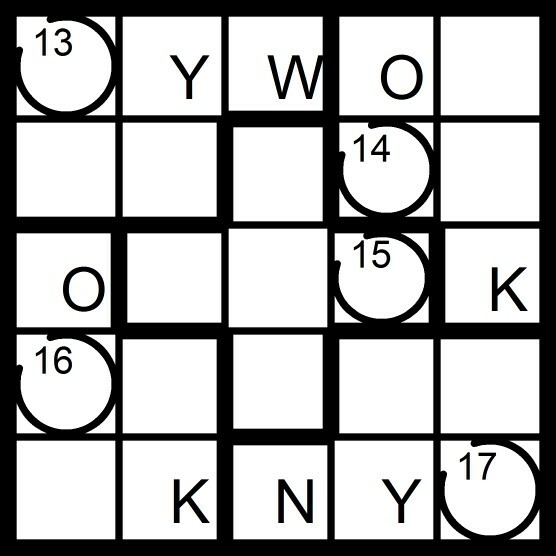 Yesterday's 10x10 Hidden Word Sudoku puzzle was based on the letters MAR + DESKTOP (POSTMARKED). 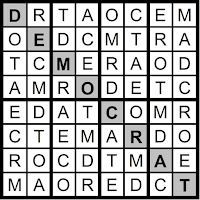 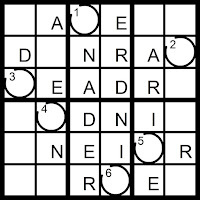 Yesterday's 8x8 Hidden Word Sudoku puzzle was based on the letters MAR + DC TOE (DEMOCRAT). 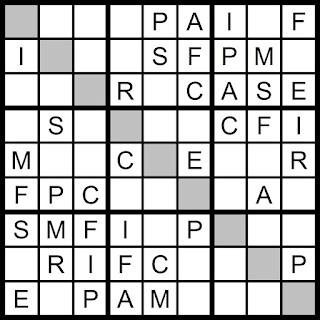 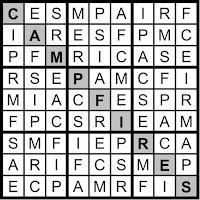 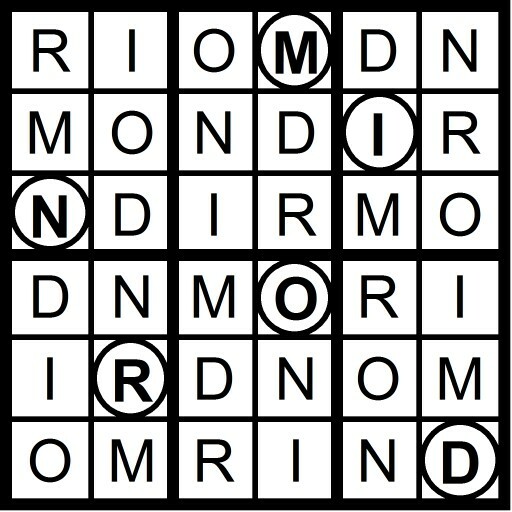 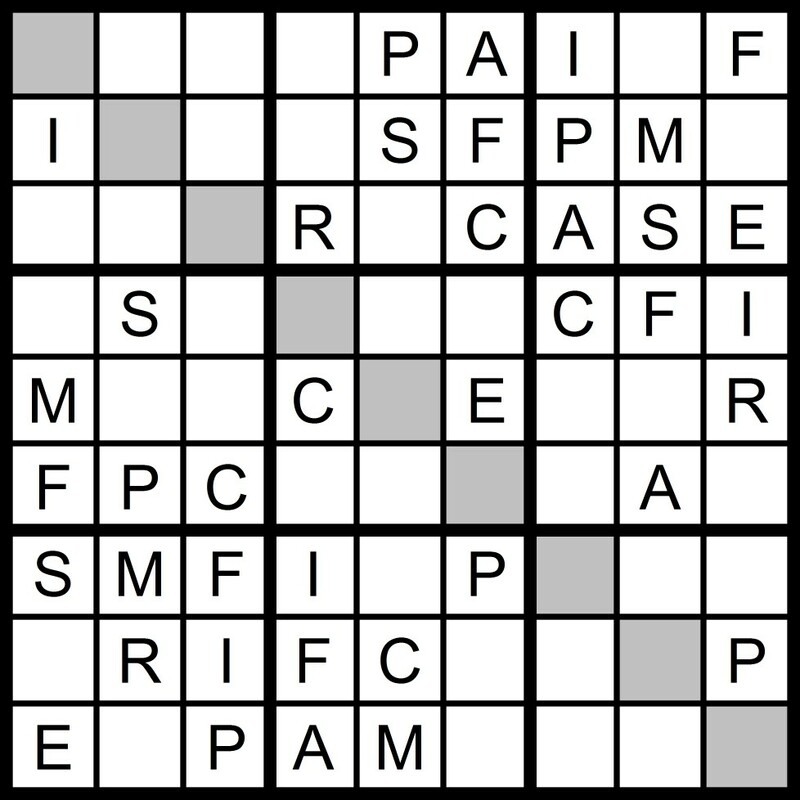 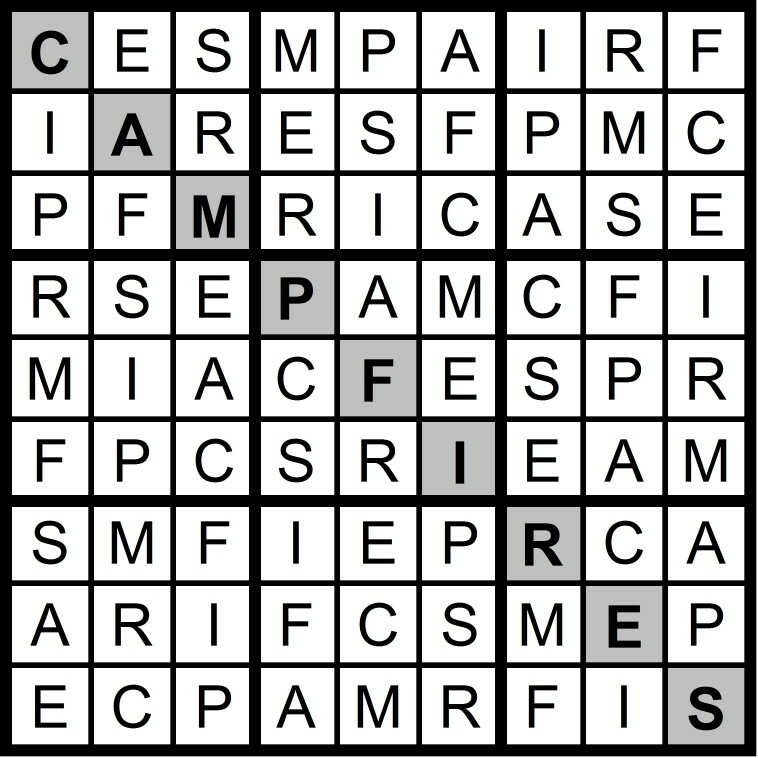 Yesterday's 9x9 Hidden Word Sudoku puzzle was based on the letters MAR + FIE PCS (CAMPFIRES). 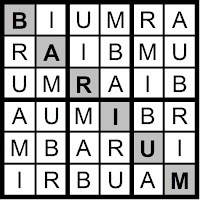 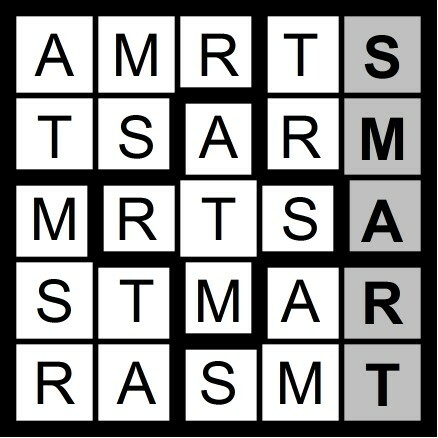 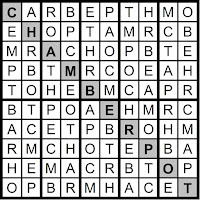 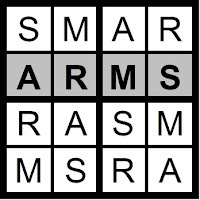 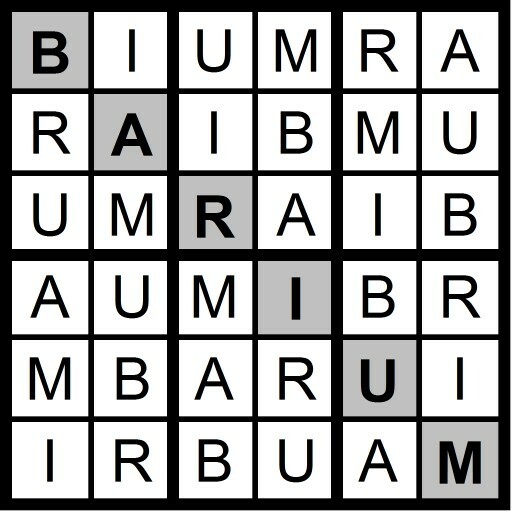 Yesterday's 4x4 Hidden Word Sudoku puzzle was based on the letters MAR + S (ARMS) and the 6x6 Hidden Word Sudoku puzzle was based on the letters MAR + BIU (BARIUM). 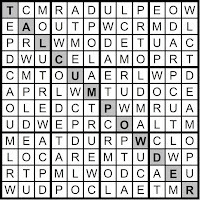 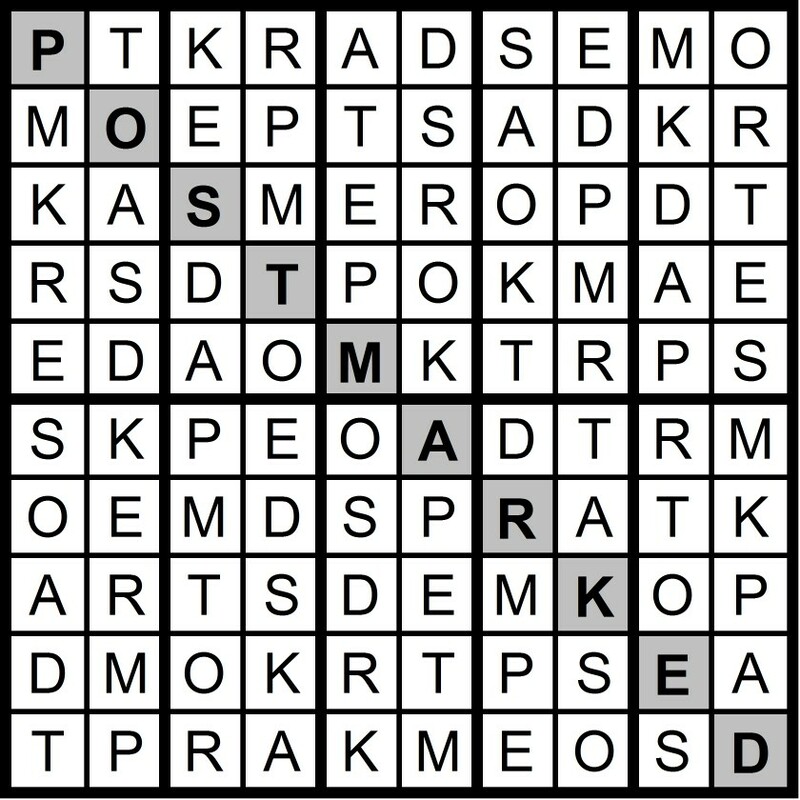 Yesterday’s Sunday Challenge 12x12 Hidden Word Sudoku Puzzle was based on the letters MAR + CUT PLOWED (TALCUM POWDER). 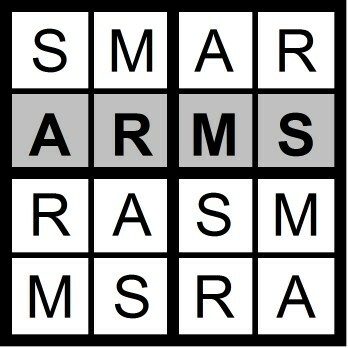 My clothes are all wrinkled," said Tom, depressed. 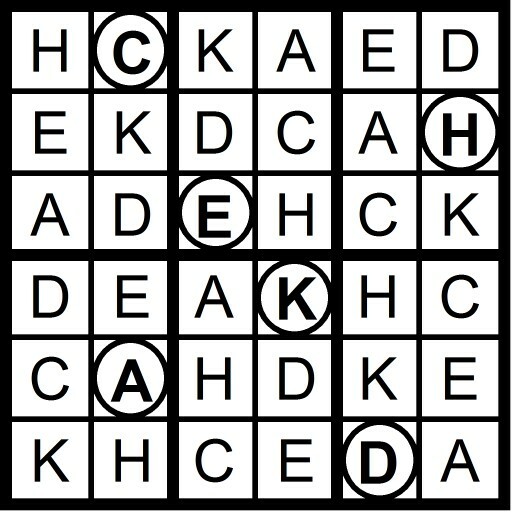 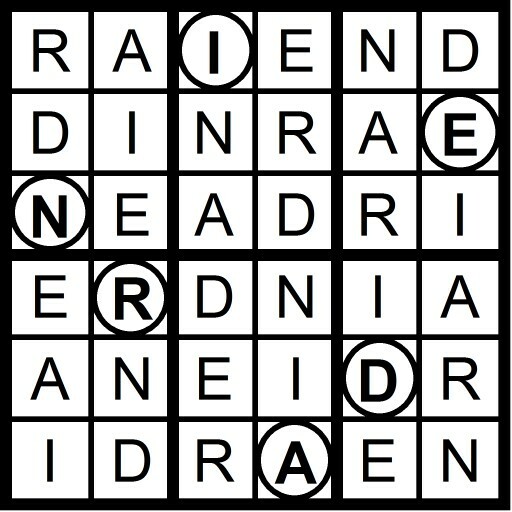 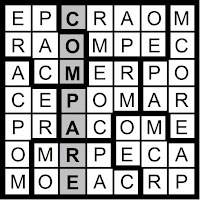 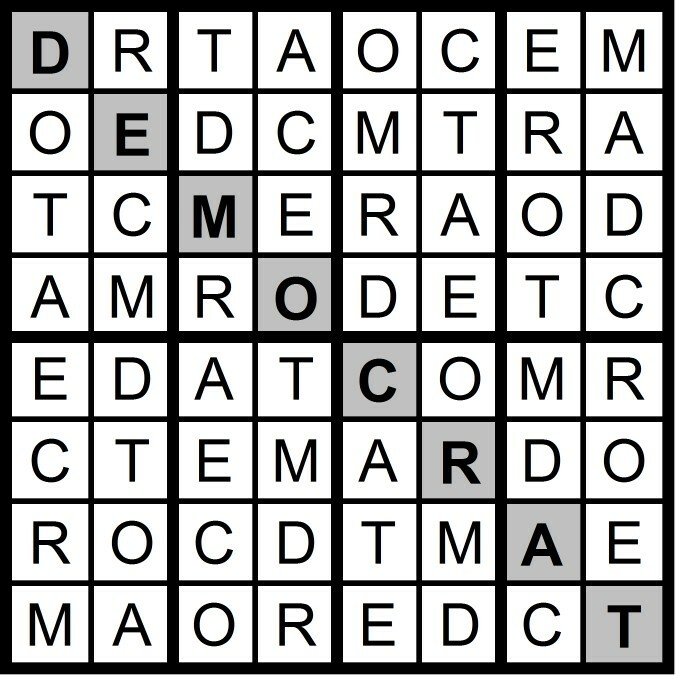 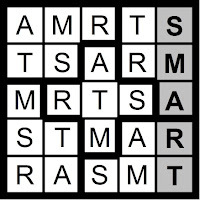 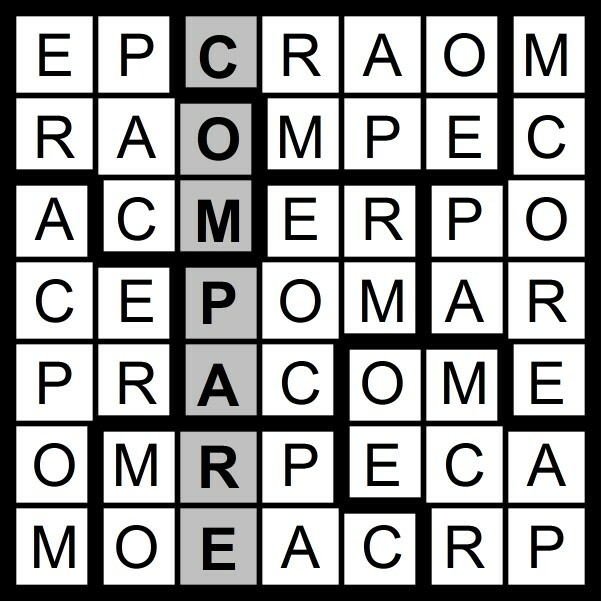 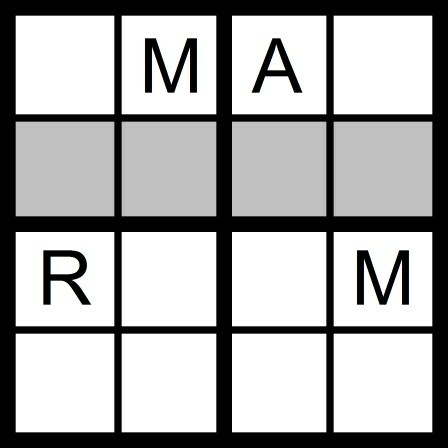 Yesterday's 5x5 Hidden Word Sudoku puzzle was based on the letters MAR + ST (SMART) and the 7x7 Hidden Word Sudoku puzzle was based on the letters MAR + COPE (COMPARE). 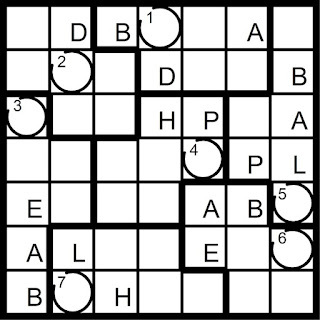 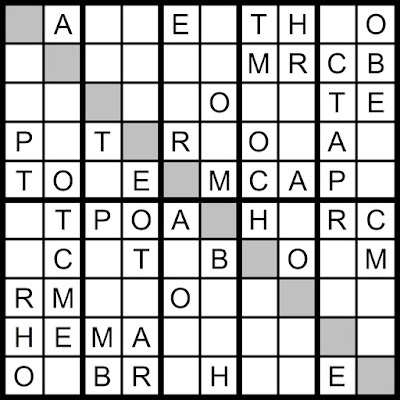 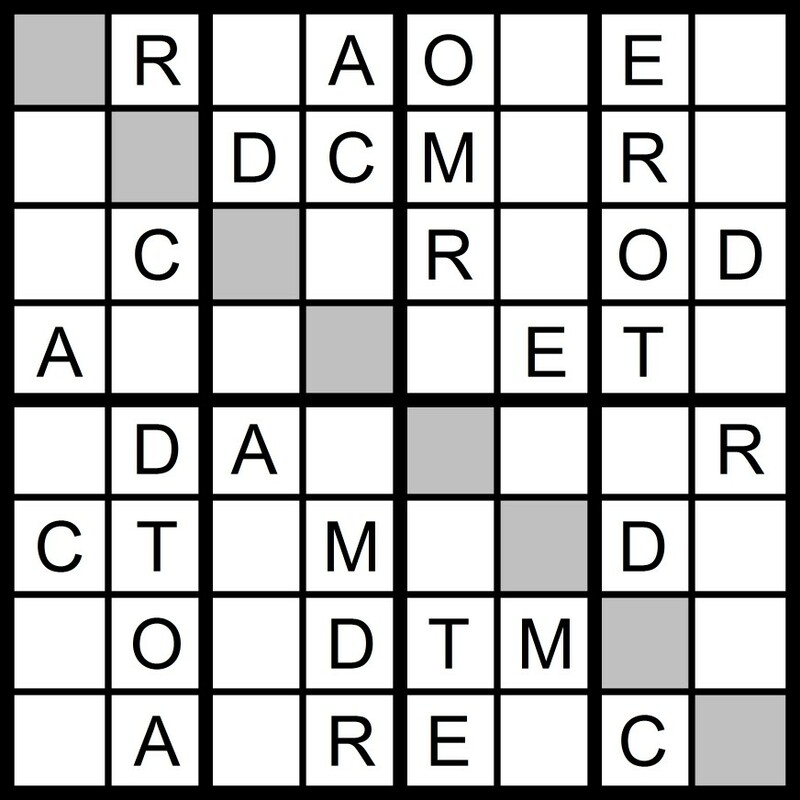 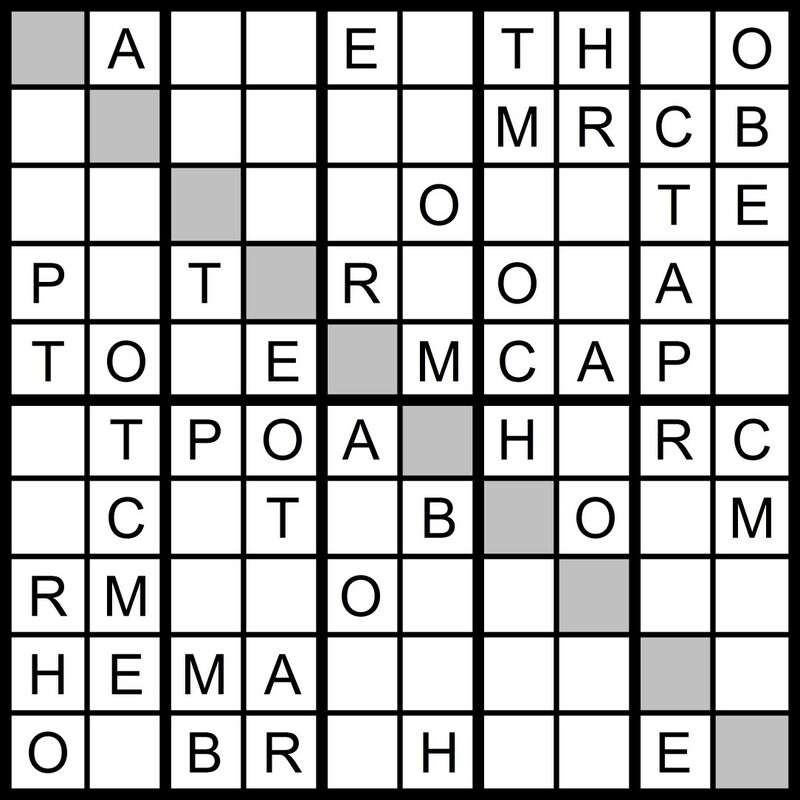 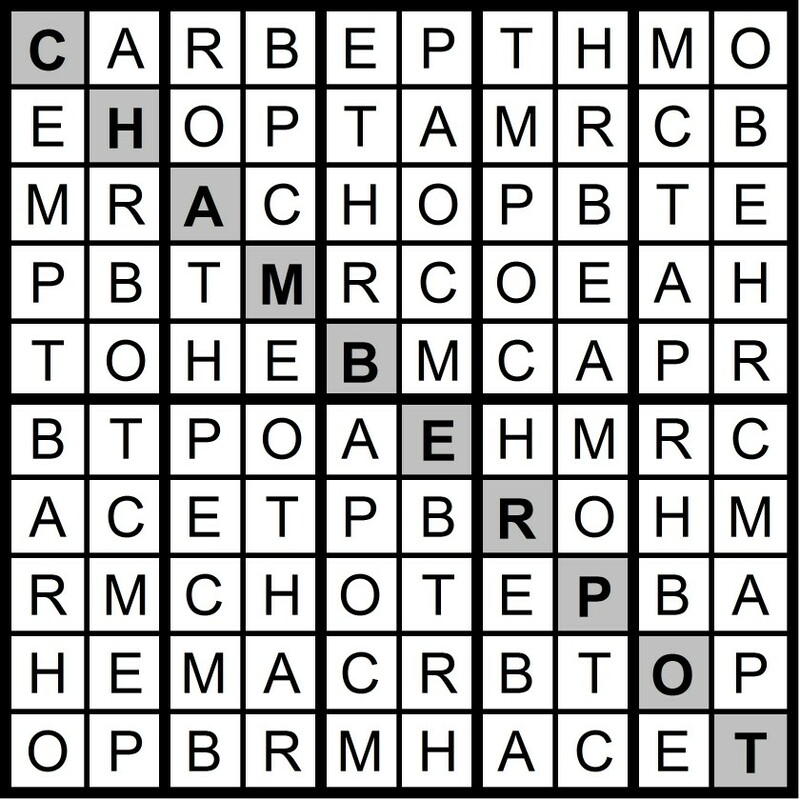 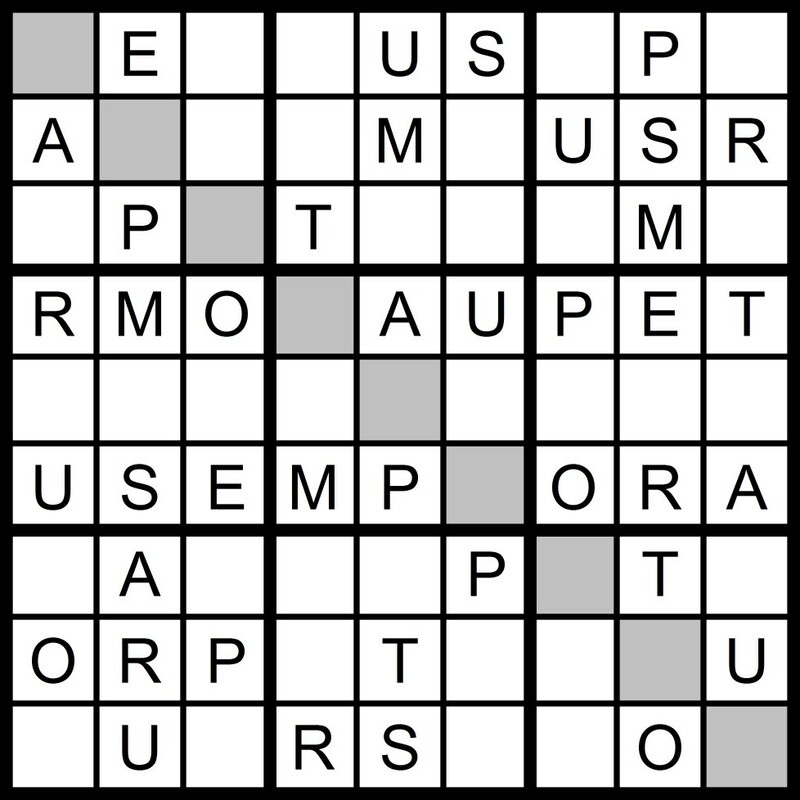 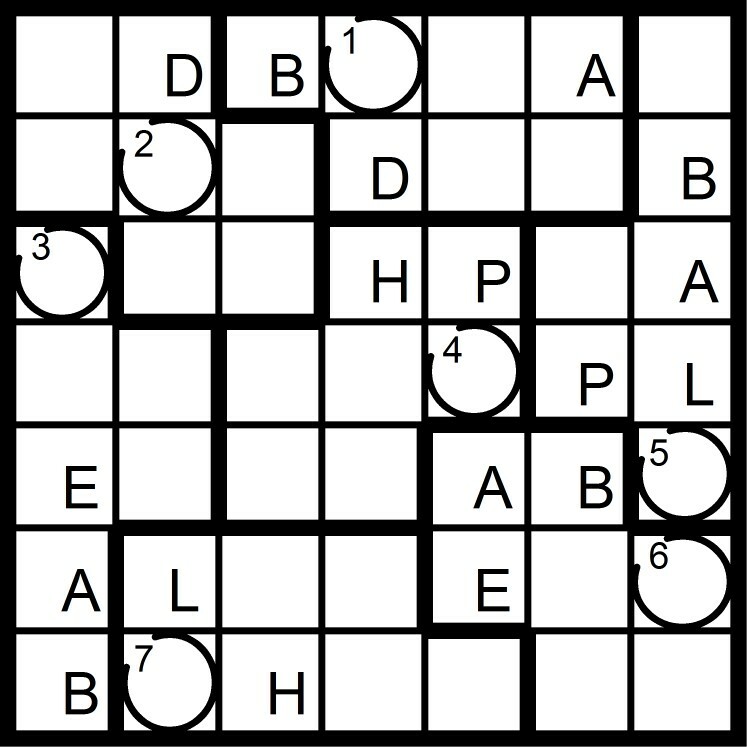 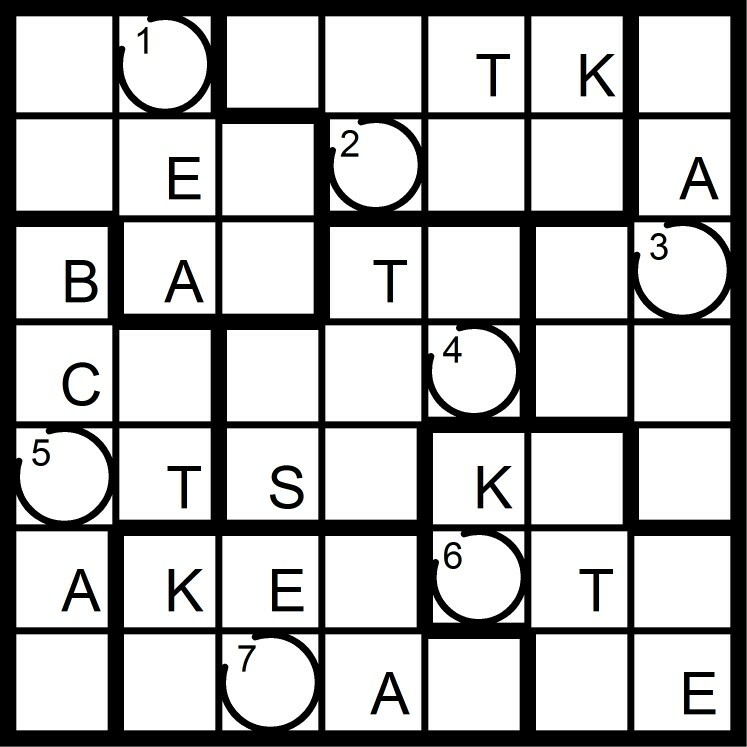 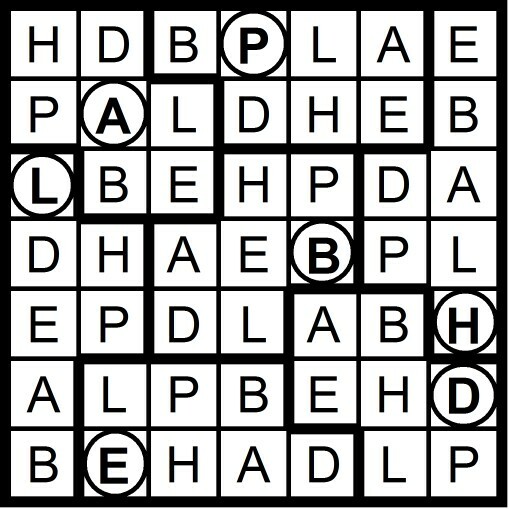 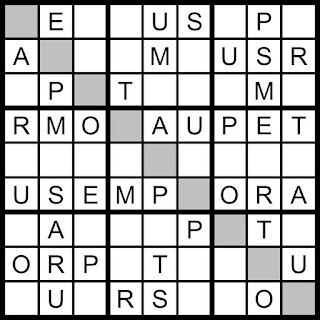 Yesterday's 10x10 Hidden Word Sudoku puzzle was based on the letters MAR + BET CHOP (CHAMBER POT). 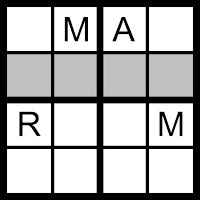 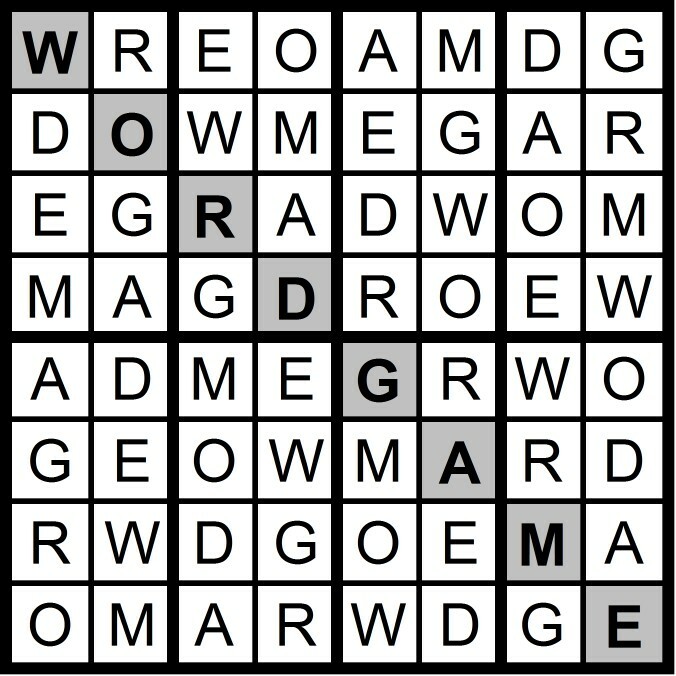 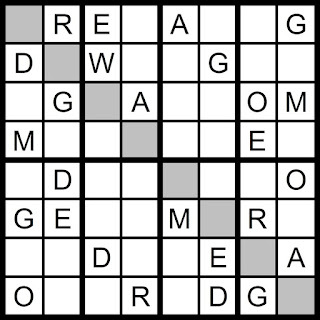 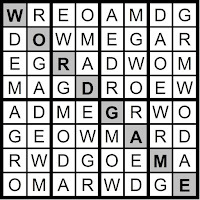 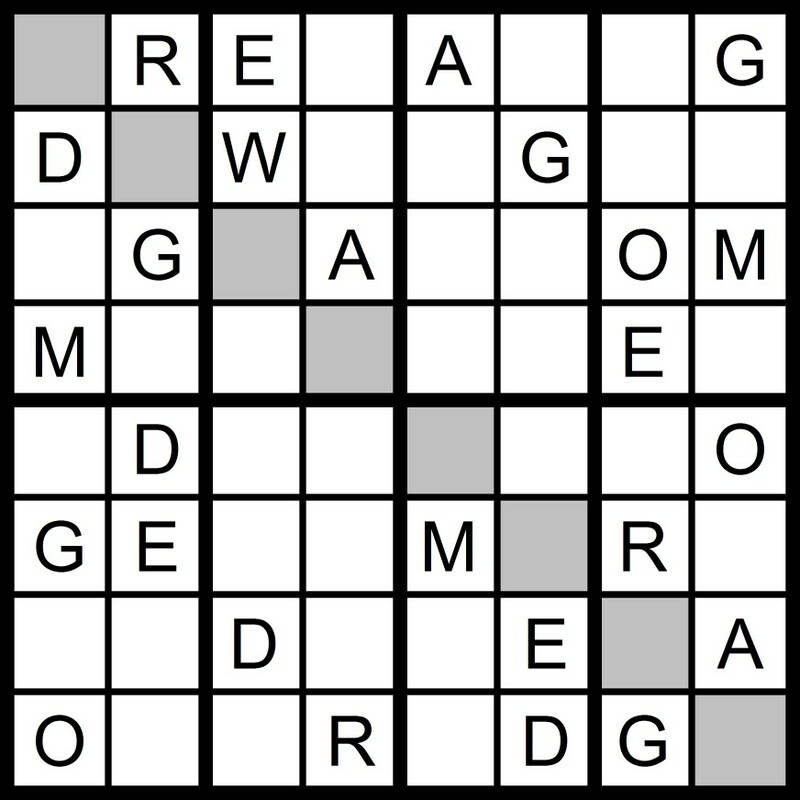 Yesterday's 8x8 Hidden Word Sudoku puzzle was based on the letters MAR + WE DOG (WORD GAME). 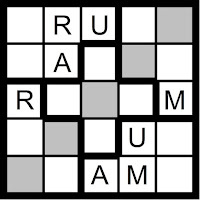 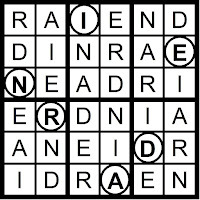 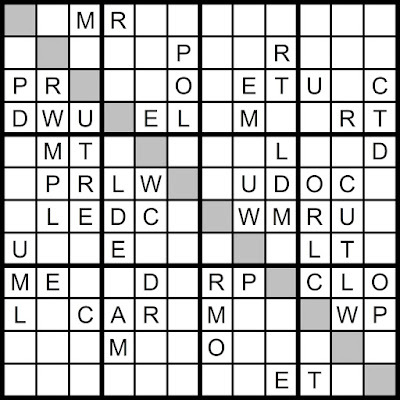 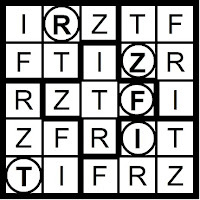 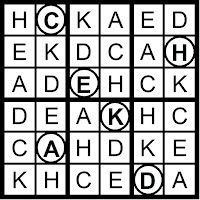 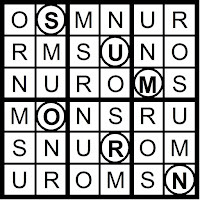 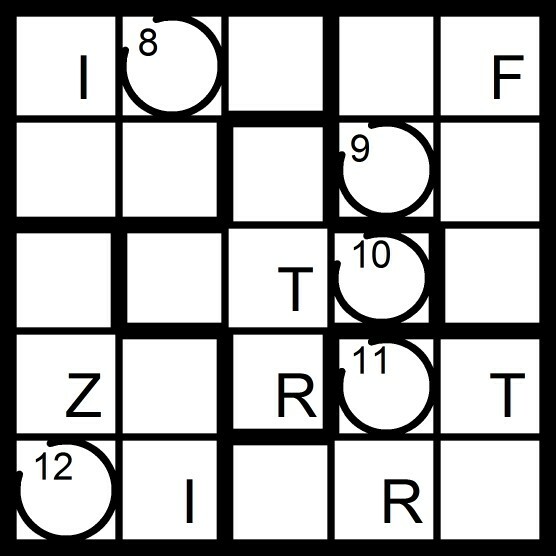 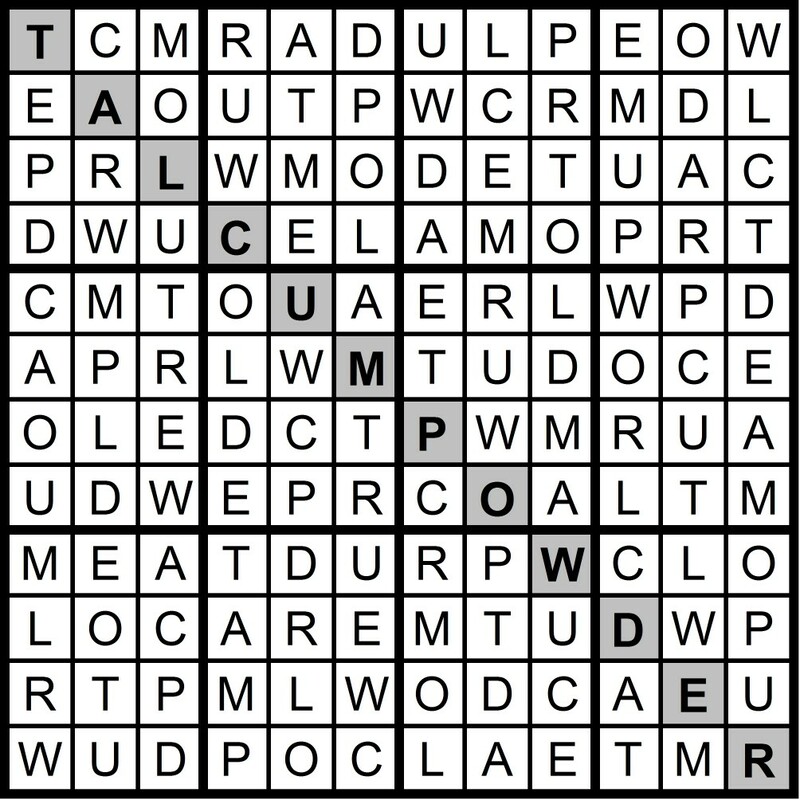 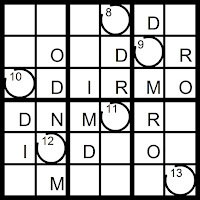 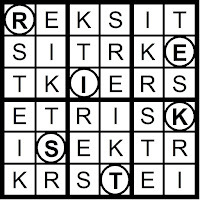 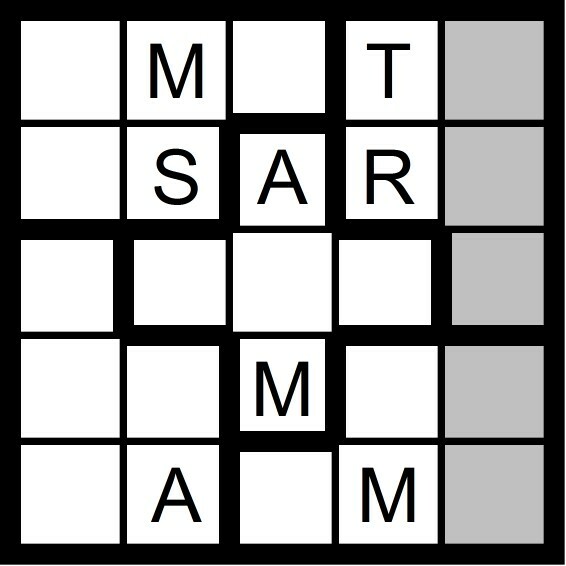 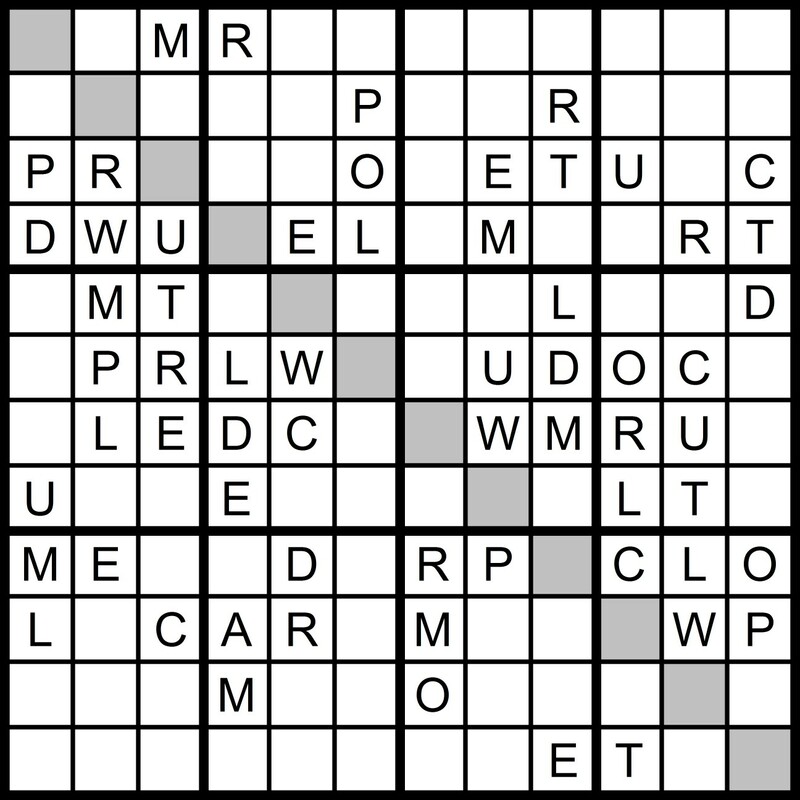 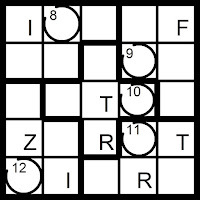 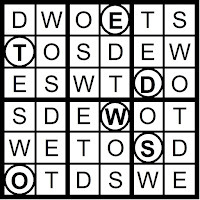 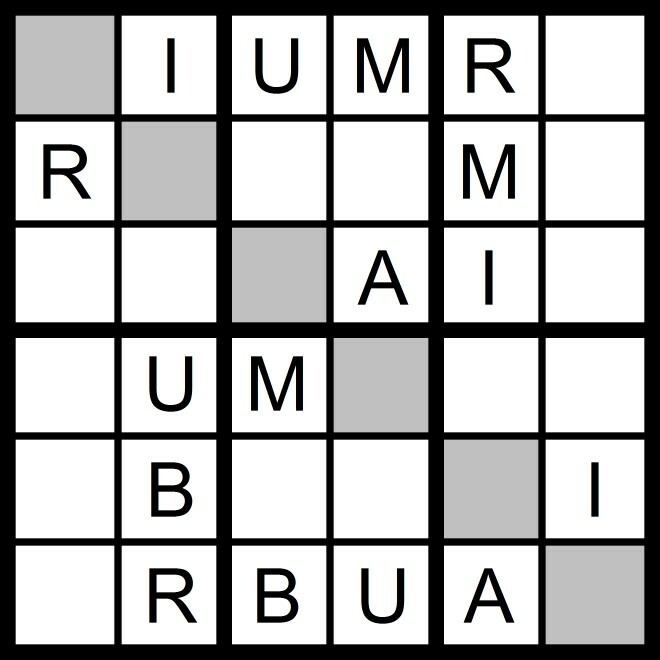 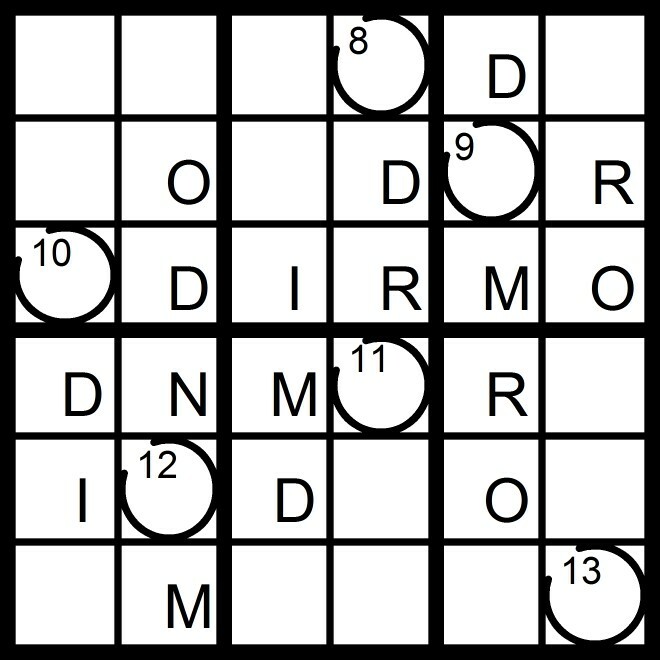 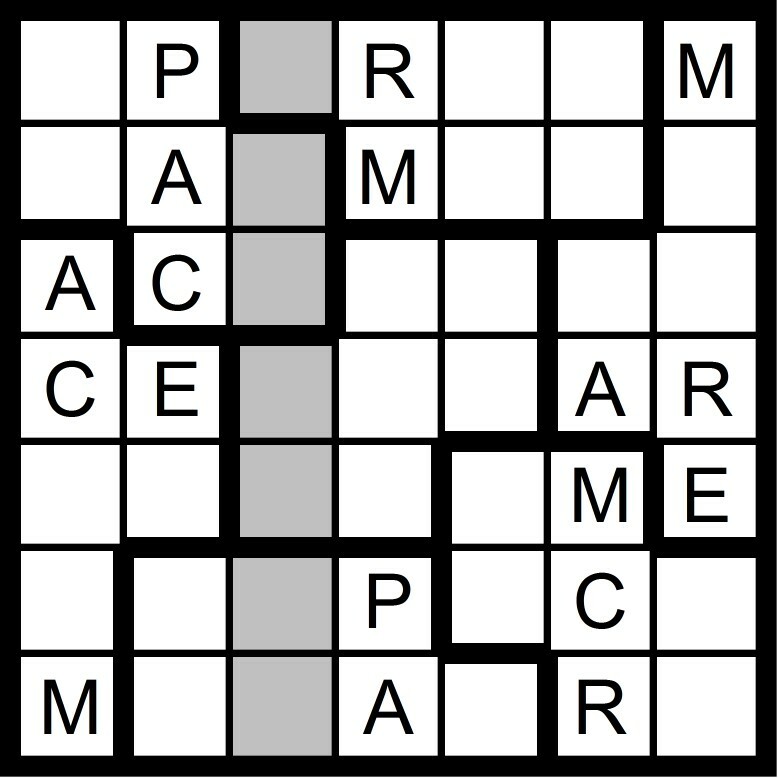 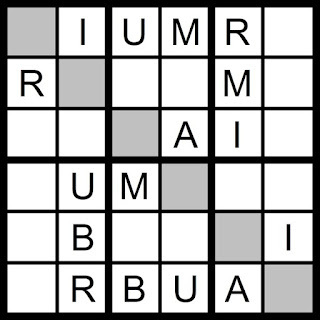 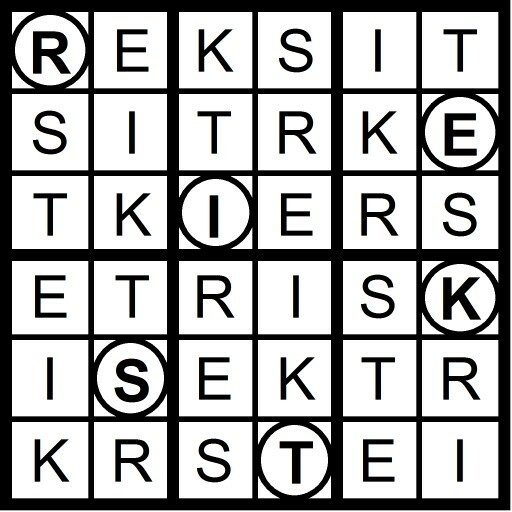 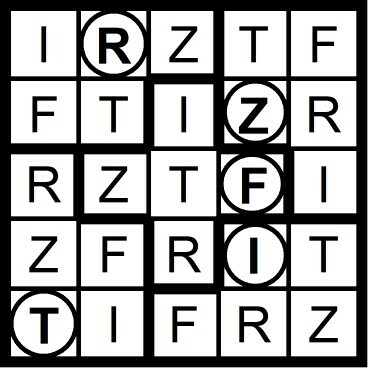 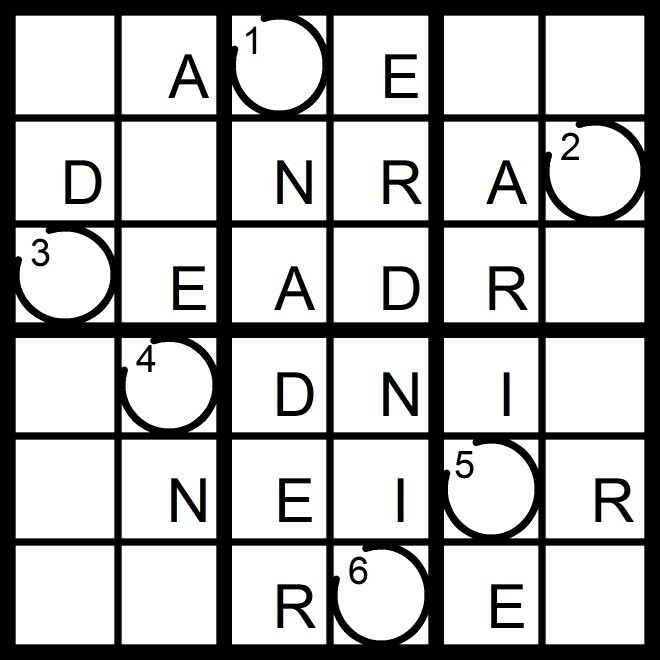 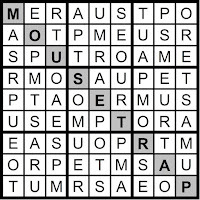 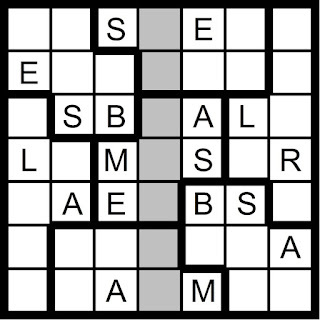 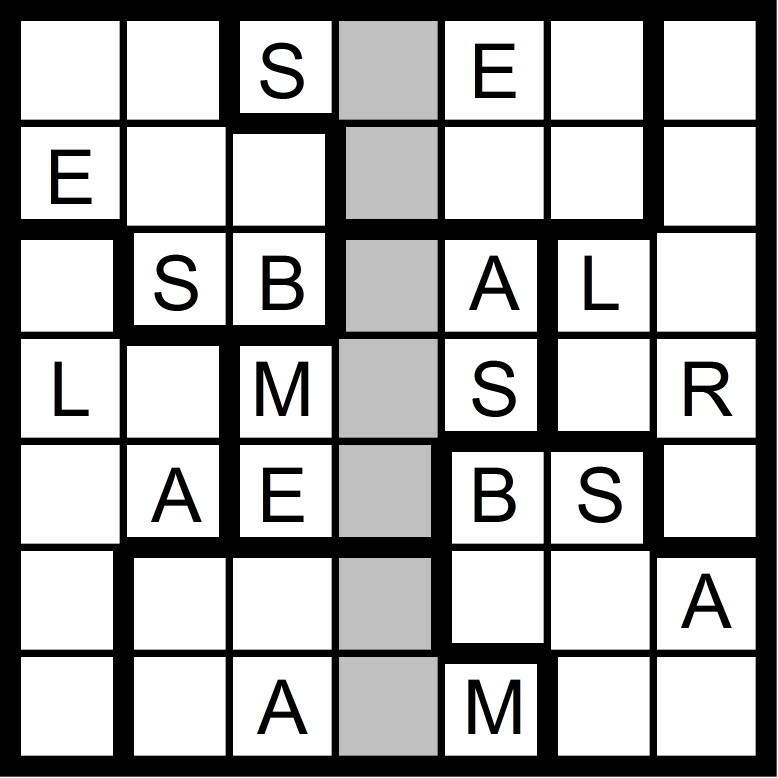 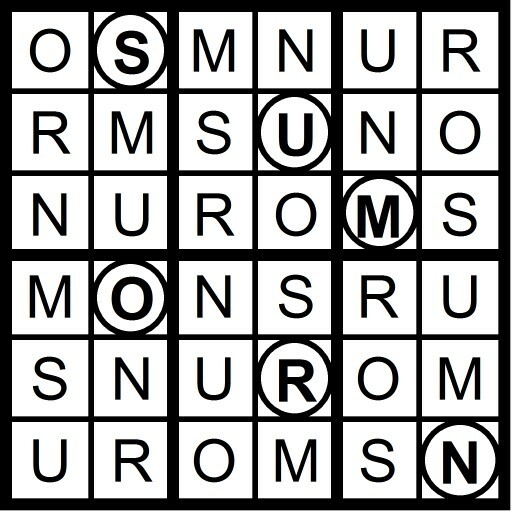 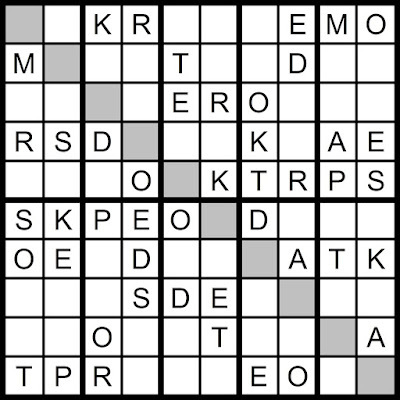 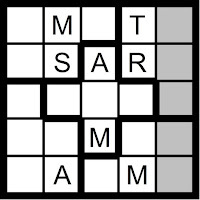 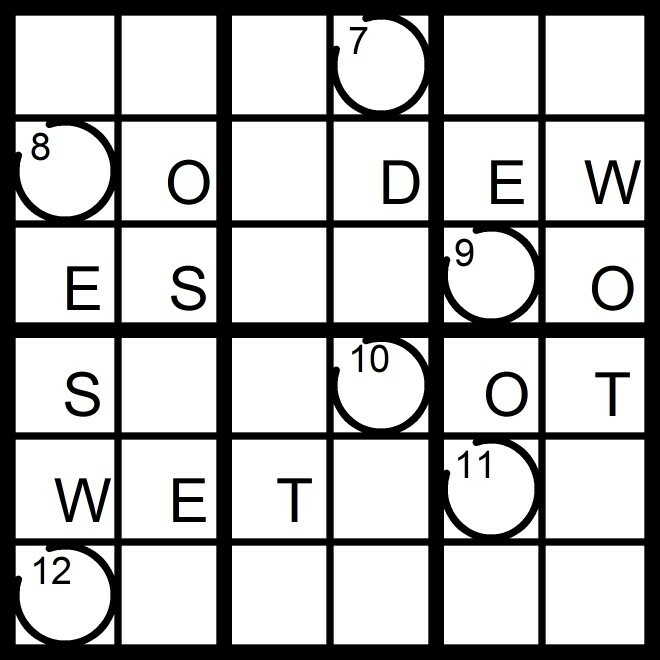 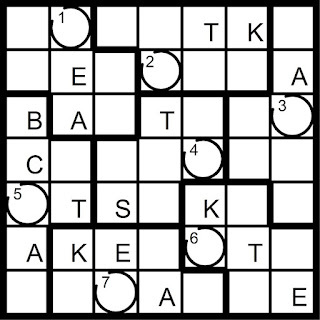 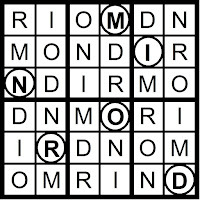 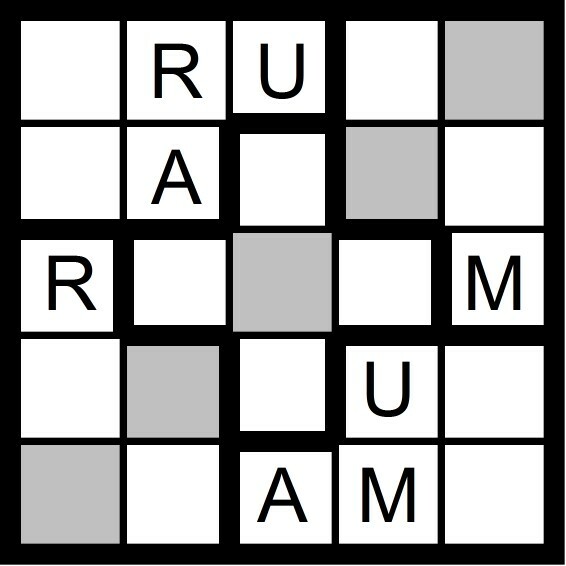 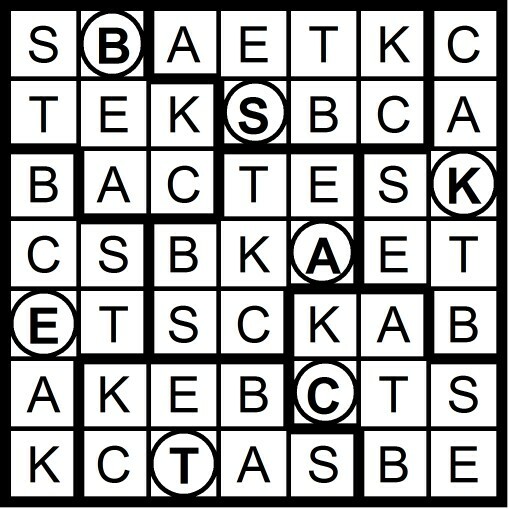 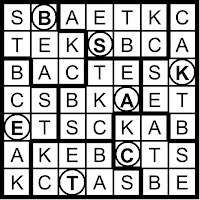 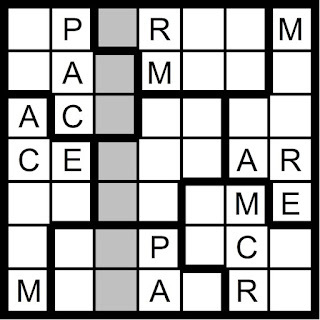 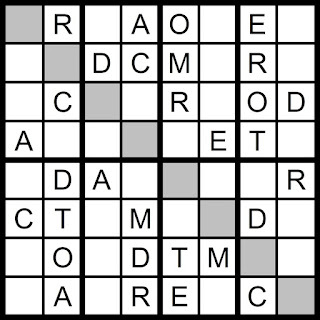 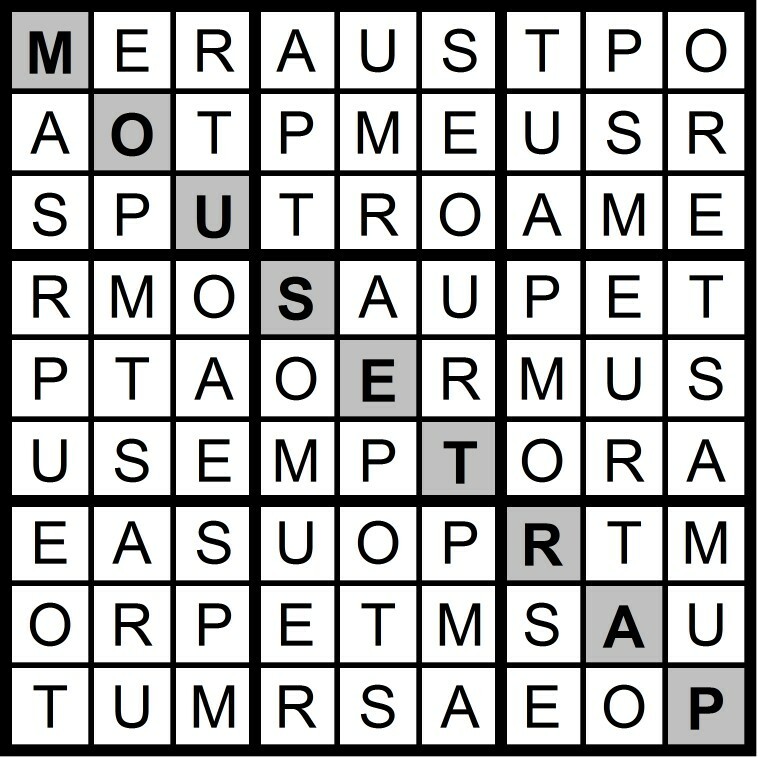 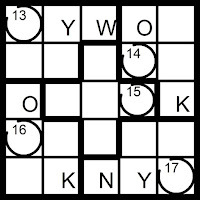 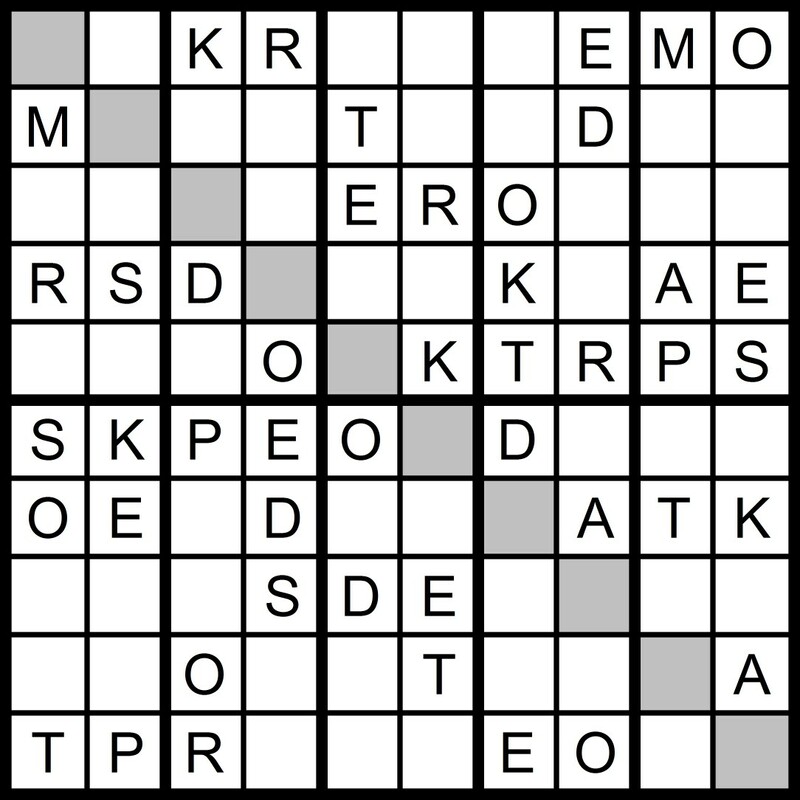 Yesterday's 9x9 Hidden Word Sudoku puzzle was based on the letters MAR + TOES UP (MOUSETRAP). 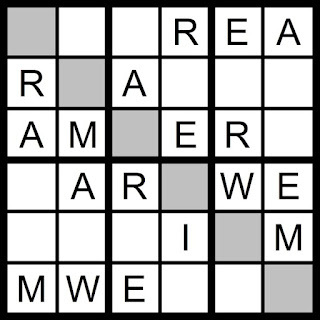 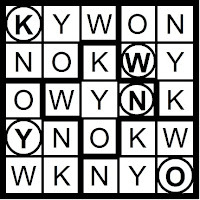 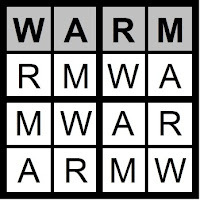 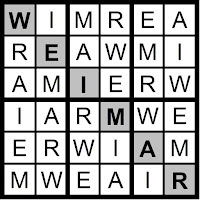 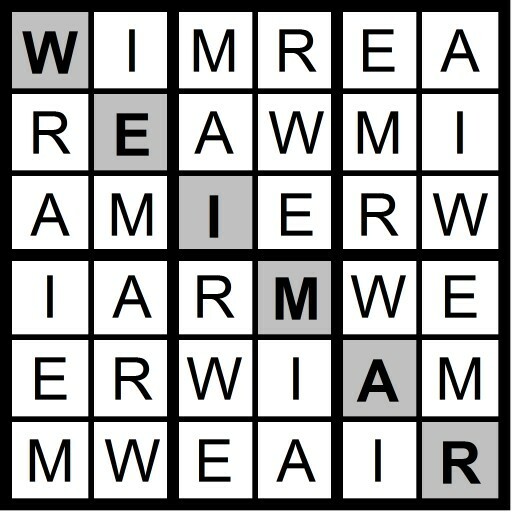 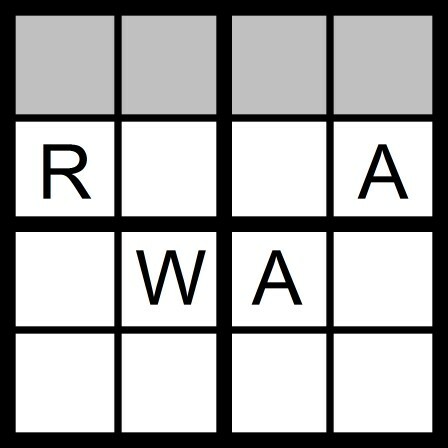 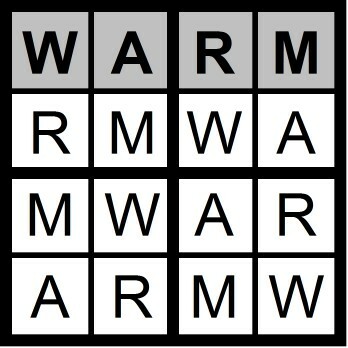 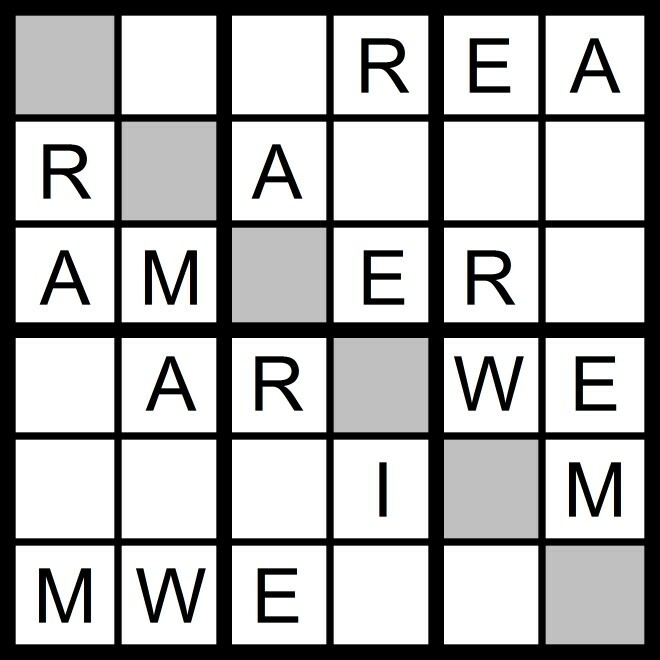 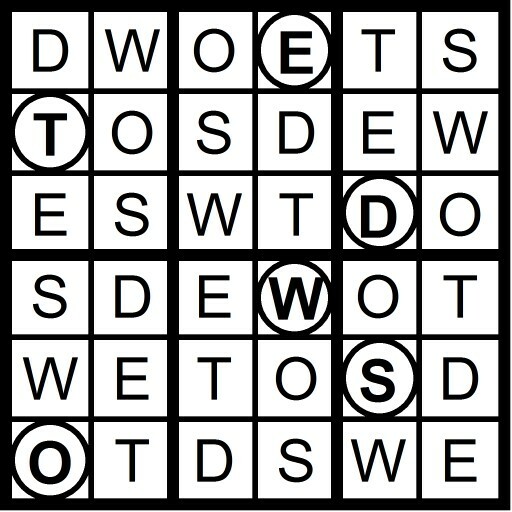 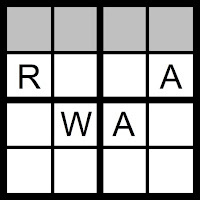 Yesterday's 4x4 Hidden Word Sudoku puzzle was based on the letters MAR + W (WARM) and the 6x6 Hidden Word Sudoku puzzle was based on the letters MAR + WEI (WEIMAR).